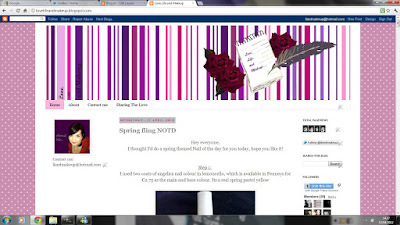 Great idea with the header...I am in desperate need of updating myself, but I heve no idea where to start! Thank you! Have followed you back and left a comment! 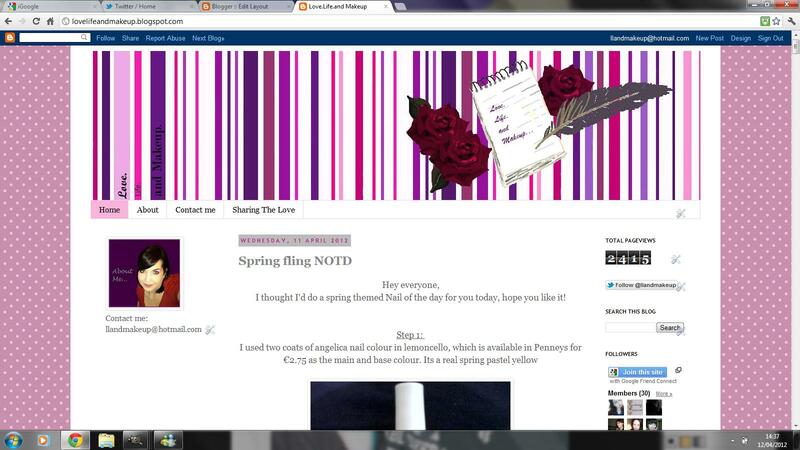 Your blog looks lovely, great layout ! I would love a three columns layout for mine, sticking with my layout for now but planning some changes. I have followed you on Twitter and Tweet you! Very cute - I like that you've kept a white background, as well; it looks so much more fresh! Thanks for stopping by my arts blog - pleasure to follow you! 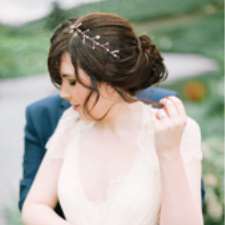 Feel free to have a read and follow my beauty blog, too! Thank you! Will definitely go look at your blog!